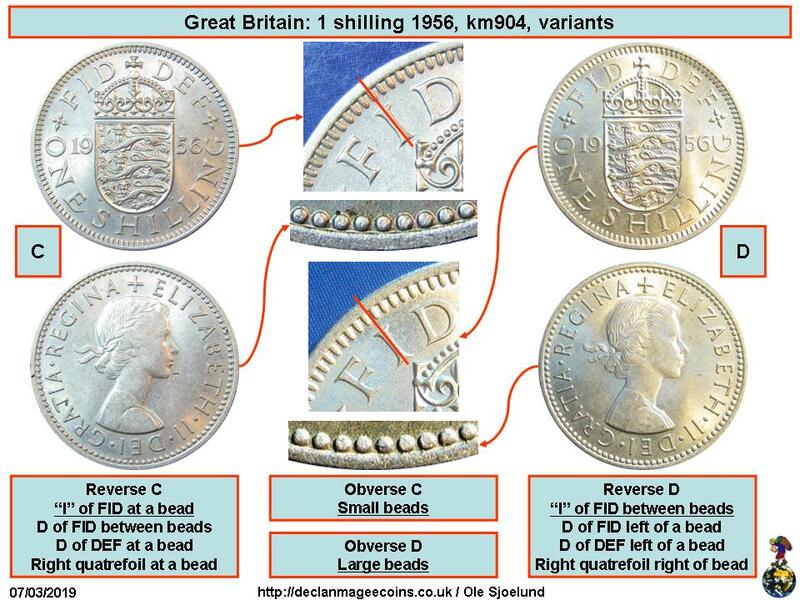 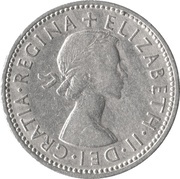 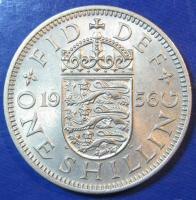 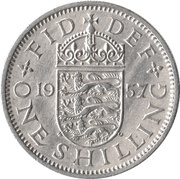 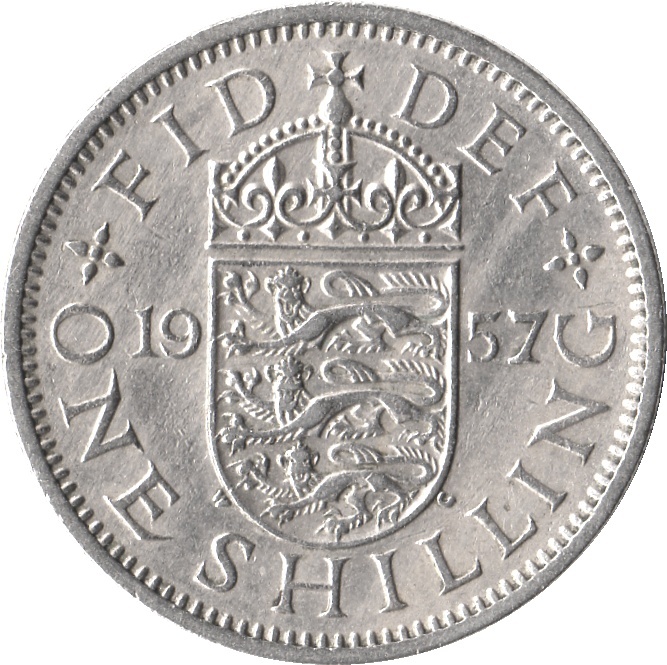 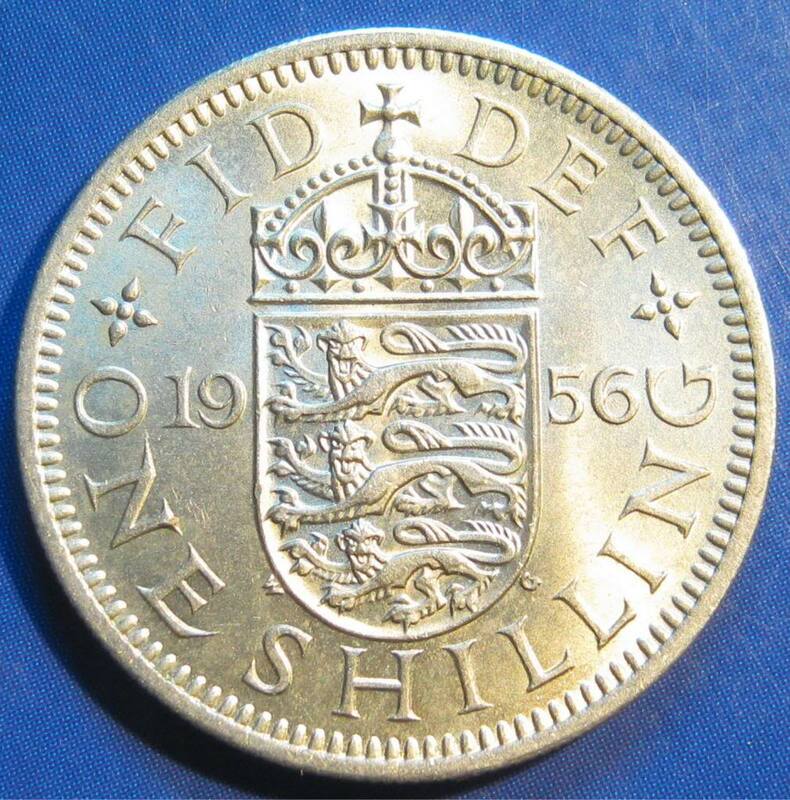 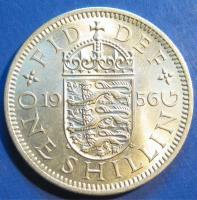 1 Shilling - Elizabeth II English shield; no "BRITT:OMN"
Mary Gillick was a sculptor best known for her effigy of Elizabeth II used on coinage in the United Kingdom and elsewhere from 1953 to 1970. 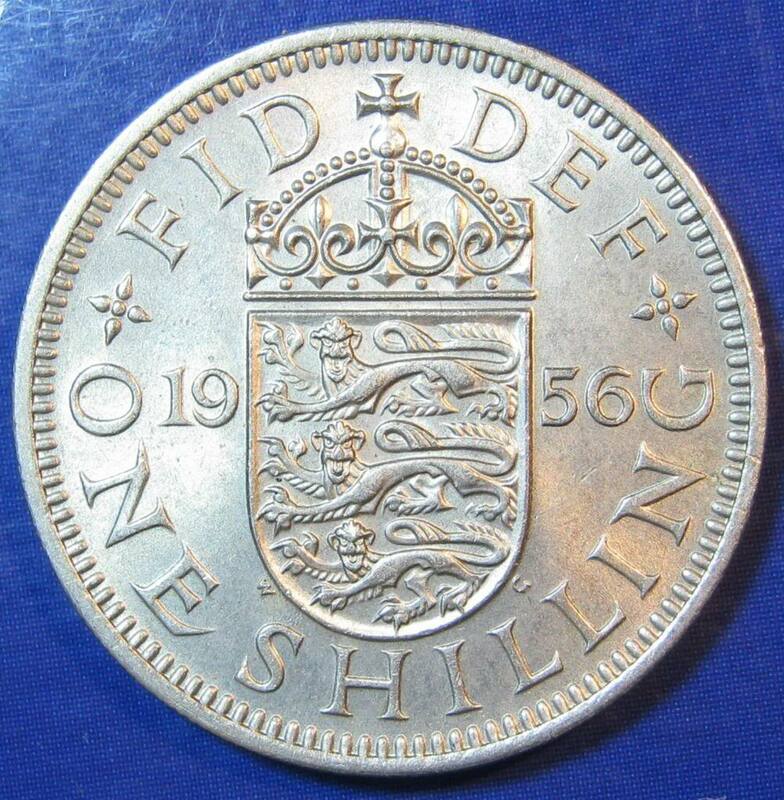 William Maving Gardner (25 May 1914 in Newcastle – 28 December 2000) was an English coin designer, engraver, calligrapher and writer who worked regularly for the Royal Mint over a 30-year period. 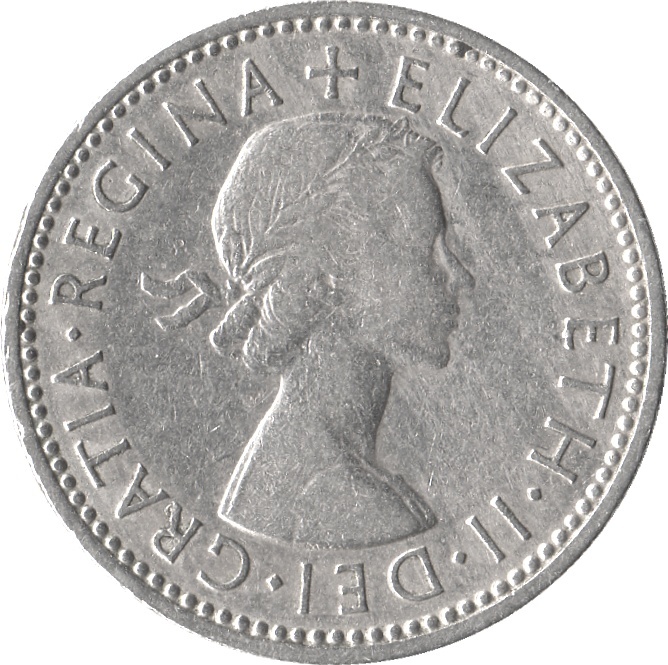 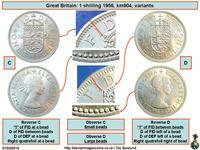 He is notable for designing coins such as the British 20 Pence Coin and some of the coins of Cyprus, New Zealand, Jordan, Guyana, Dominican Republic, Sri Lanka and the Falkland Islands.